Follow my blog with Bloglovin Perhaps it is a side effect of my anxiety and the tendency to project multiple possible intersecting outcomes into the future, but I am a really organized person, and nothing brings me calm like looking at my multi-colored electronic Google calendar. It makes sense, then, that when I was plunged into insurmountable uncertainty by abruptly losing a job I thought I would have the rest of my life the first thing I wanted was a really complicated planner to fill up with goals that could be methodically crossed off. There's a very thin line between the illusion of having control over your life and actually having control over your life, and I planned to walk right down the center of it. 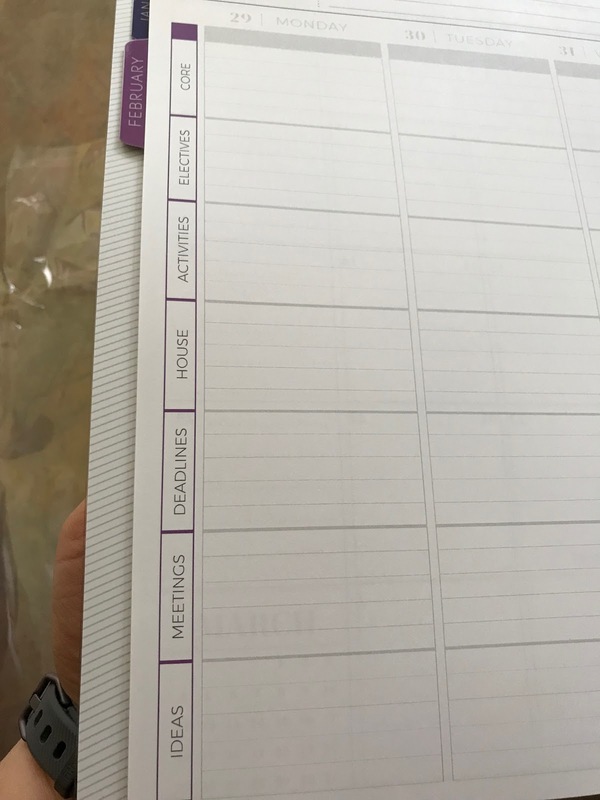 After reading some reviews, I headed over to Plum Planner (this isn't a review or an affiliate post. As you'll see in a moment, I haven't even used the thing, so I can in no way speak to its quality or impact on my life). I spent some time clicking through the plethora of options to customize it to my exact specifications. Even that customization was a little traumatizing. What categories do I want? Who knows? I have no idea what my life will look like. Will I be working at one place with some kind of stable schedule, or am I going to be hopping from freelance gig to freelance gig with no sense of what day it is? Eventually, I picked some key categories I knew I would need to address each day and left a couple of them vague. 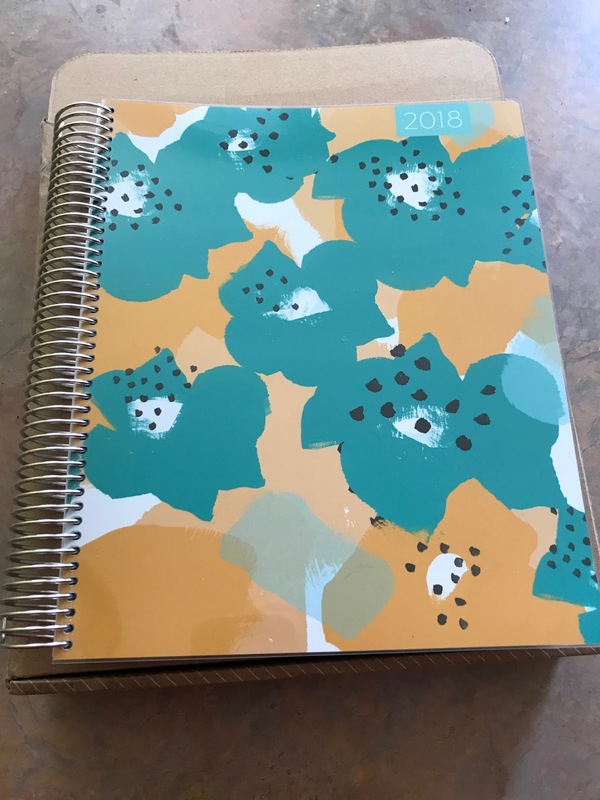 I hit "Submit" and was told that I would have my shiny new planner by the second week of January, perfectly timed to start with going back to teach for my final semester. Filling out all those neat little boxes would be a welcome distraction from the pain, anger, and frustration that a semester spent as a "dead woman walking" would bring me. I got the shipment confirmation and clicked to track delivery. All was looking good. It made it to St. Louis (where I live). It should be there any moment. Then the tracking started doing something weird. It was being bounced around from post office to post office in the city. I couldn't figure out what was happening until I looked closer. I had, in my bleary-eyed-haven't-slept-might-be-having-a-breakdown-cause-I-just-got-fired state typed in the correct street number but my old street name in the shipping information. I tried everything. I called all the post offices where it had been. I emailed the seller. I placed a hold on the package. I secretly hoped it would show up at my old address even though the number was wrong. I waited and waited and waited. About two weeks after it was supposed to have arrived, the shipment activity said it had been returned to the sender, so I contacted them, paid for shipping again, and waited some more. My planner vanished. Talk about a metaphor for your plans not going the way you thought they would. Somewhere between leaving St. Louis and arriving back at Plum Planner, the package fell off the face of the earth. I emailed them again, and they, obviously seeing the desperation behind my words, took pity on me and reprinted the entire thing and shipped it again. Well, ladies and gents, after several mis-deliveries, wrong turns, and lost ways, it's here. Will this be the turning point? Will this be the moment when my attempts to juggle homeschooling, teaching, and launching a burgeoning freelance career come together in one beautiful tangle of ink, hopes, and best laid plans? 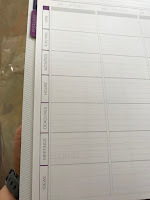 I don't really believe that a planner is the answer to all my problems, but I do think that the patience I was forced into finding as it was delayed over and over again was a nice little reminder that I don't necessarily have to get my whole life back together in a single day. It will come . . . eventually, and maybe to the wrong place a few times.